With Halloween and Christmas all smack dab at the end of the year Thanksgiving can easily get left out so this year I am creating as much Thanksgiving related content and printables as possible! 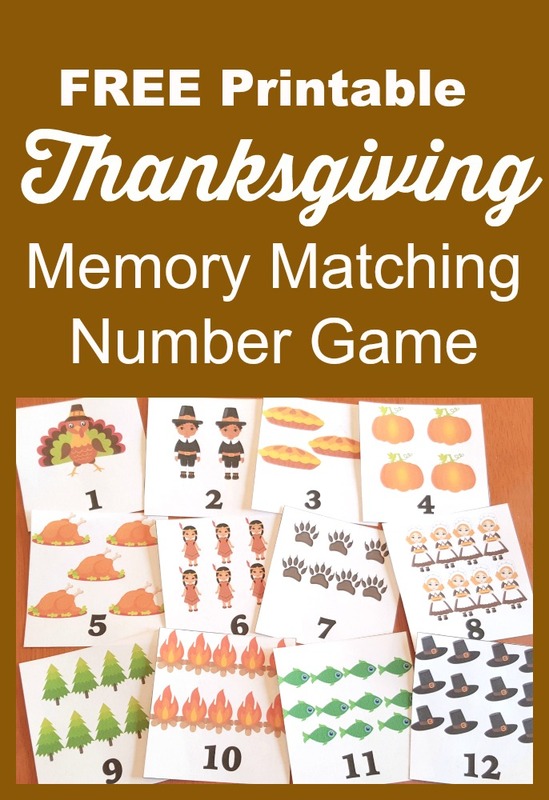 I LOVE this simple themed Thanksgiving Printable Memory Match Number card game. Just print the below PDF on card stock, laminate if desired (we use a small home laminator that cost us under $20), cut out and flip face down so you can’t see the images. Then play memory! The kids can try to match by images, numbers, or by counting! This makes a great math center activity too!